The food components for each breakfast will be posted at the beginning of each serving line. You are encouraged to take all the foods offered; however, you must take at least three items, one of which must be a 1/2 cup fruit*. Whether you take three items or more, the meal is the same price. 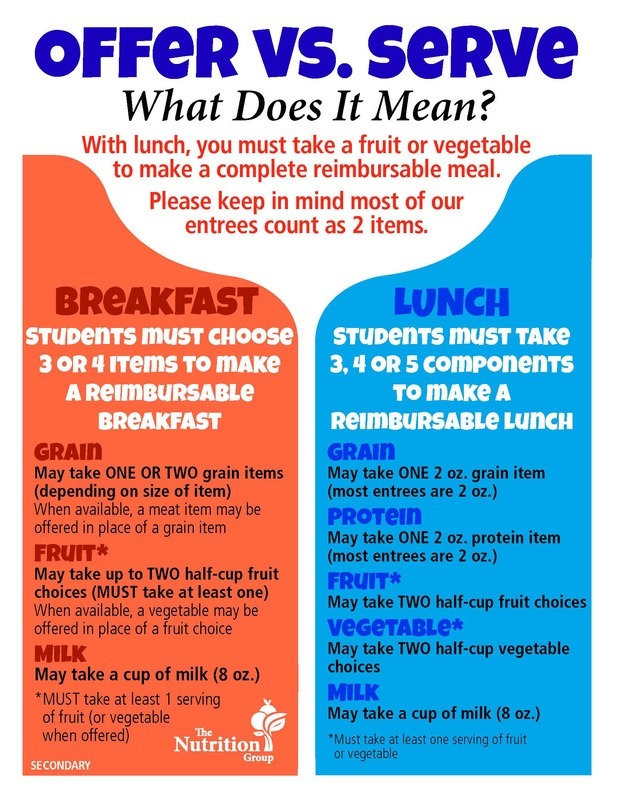 "Offer" allows you to choose three or more food items you would like to take to build a healthy reimbursable meal. One of those three food items must be a fruit*.